To coincide with the publication of my new book “Nelson’s Lost Jewel: The Extraordinary Story of the Lost Diamond Chelengk”, celebrated London jewellers Symbolic & Chase commissioned an exact replica of the fabled lost jewel based on a drawing of the Chelengk discovered in the College of Arms. 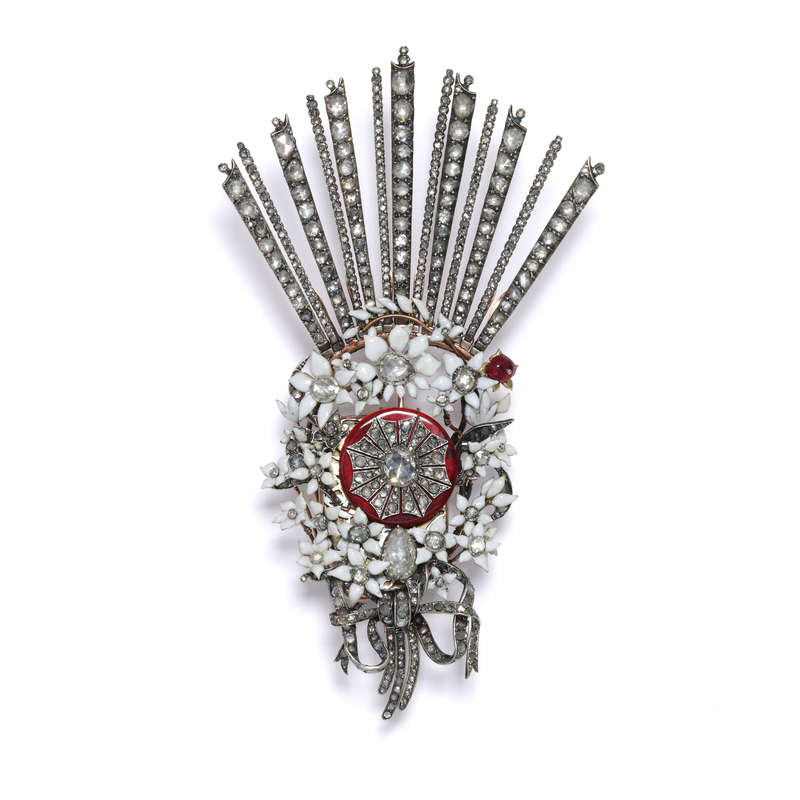 Made by master goldsmith Philip Denyer, the jewel is decorated in enamels and set with almost four hundred rose diamonds recovered from 18th century jewels together with a single Burmese ruby. Like the original jewel, the Ottoman star within the wreath of enamelled flower heads at the heart of the jewel is mounted on clockwork to rotate in wear! This remarkable historical recreation was unveiled in the cabin of Admiral Lord Nelson’s flagship HMS Victory on 21 October 2017, “Trafalgar Day”, before going on public display at the adjoining National Museum of the Royal Navy where it was enjoyed by thousands of visitors for the next six months. 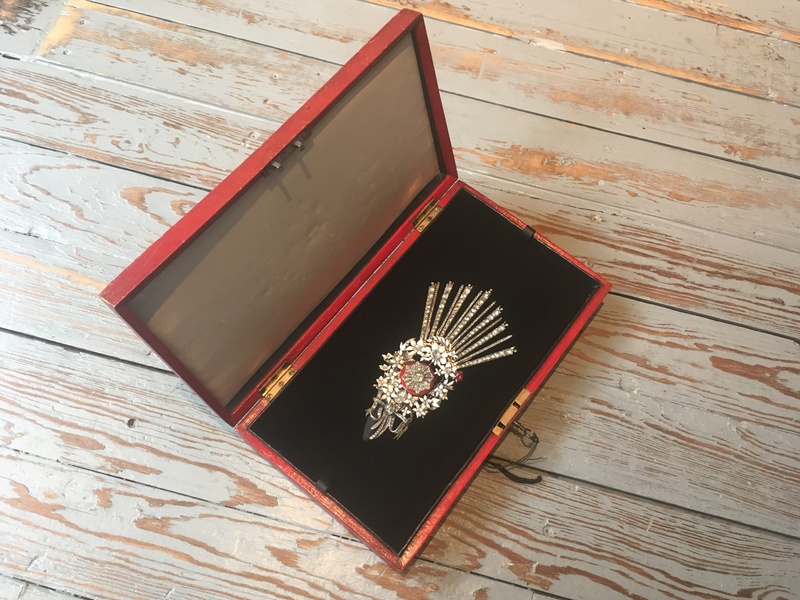 The new jewel was the subject of a symposium at Goldsmiths’ Hall in March 2018 when Philip Denyer was interviewed by Joanna Hardy and I gave a presentation about the remarkable history of the jewel. 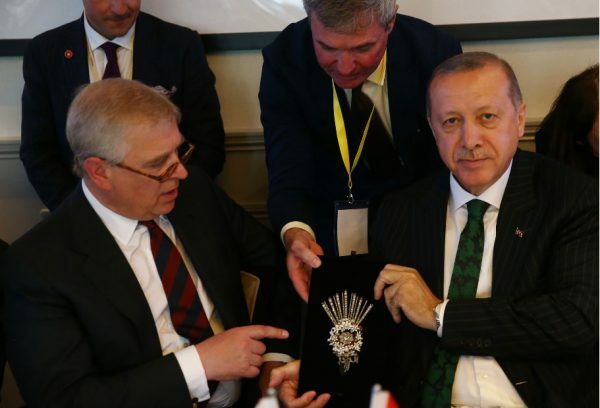 In May 2018, the jewel was exhibited at the Turkish British Tatli Dil where it was admired by HRH The Duke of York and by His Excellency Recep Tayyip Erdoğan, the President of Turkey. The jewel was then the inspiration of leading Turkish fashion designer Zeynep Kartal whose 2019 Spring/Summer Collection was launched at Goldsmiths’ Hall during London Fashion Week in September 2018 with many of her striking new designs incorporating elements of the Chelengk. The jewel is now available for sale. 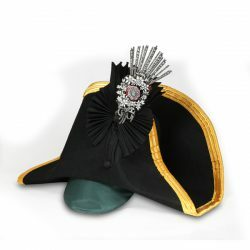 Please contact me for further details or to express your interest in purchasing this unique and remarkable object.